What a great way to use stripes! 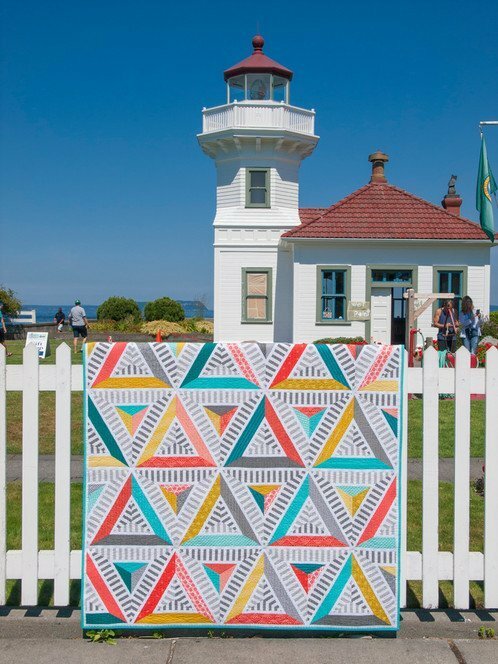 The Semaphore Stripes quilt is the perfect way to use striped fabric to make a secondary design without all the complicated piecing that stripes typically require, and it’s jelly-roll friendly! This quilt combines strip piecing with a few well-placed Y seams to get the most dramatic effect. The pieces are large and uncomplicated, letting the fabric do the talking. Come to learn color placement and some handy piecing techniques that will enhance your quilting toolbox.